Our vision is to create a brilliant connected future for everyone. And that’s where you come in, by helping our customers to connect: faster, better and smarter. Working at our Southland store, the job will have you on the shop floor, talking with our new and existing customers. Listening is key, as we're here to help - and for you, providing a brilliant customer experience is about finding the best possible solutions to suit their individual needs. Whether you’re chatting about new and exciting technologies such as wearable devices, matching a broadband plan for our customers for the home or office, or discussing our products and services designed to help customers connect in new and different ways – you’ll be the face and voice of Telstra to provide personalised service and advice. It's no secret that we expect a lot from you. In return, we offer ongoing training and support to help you develop and grow your career with us. 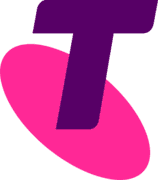 Also, being part of our Telstra team, you’ll enjoy access to some great rewards, discounts and benefits! An interest in tech products is ideal – but don’t worry, we’ll provide all the technical knowledge and training you’ll need! If you’re excited at the opportunity to be part of a team where you’re trusted to deliver, empowered to achieve, and developed to reach your full potential – we encourage you to apply! Working at our Southland store, the job will have you on the shop floor, talking with our new and existing customers. Listening is key, as we&#39;re here to help - and for you, providing a brilliant customer experience is about finding the best possible solutions to suit their individual needs. It&#39;s no secret that we expect a lot from you. In return, we offer ongoing training and support to help you develop and grow your career with us. Also, being part of our Telstra team, you’ll enjoy access to some great rewards, discounts and benefits! - An interest in tech products is ideal – but don’t worry, we’ll provide all the technical knowledge and training you’ll need!